Senator Abubakar Atiku Bagudu, Kebbi State Governor has paid a visit to dairy giant FrieslandCampina WAMCO, makers of Peak and Three Crowns milk, to explore the potential for livestock breeding, local milk sourcing and development. The exploratory visit, during the week, was aimed at boosting the state’s revenue drive and the livelihood of farmers in Kebbi State. During the visit, governor Bagudu received insight into the company’s operations through a tour of factory facilities and dairy development sites in Oyo State. He was also briefed on the company’s key dairy development activities including artificial insemination, cattle feeding and breeding for high yield milk quantities. Bagudu also praised FrieslandCampina WAMCO for her commitment in leading dairy development in Nigeria. He said: “We are seeking to modernise the agricultural sector as this will help to solve many national issues. We need WAMCO’s intervention to demonstrate what can work for our farmers in Kebbi. Mr. Ben Langat, the Managing Director, FrieslandCampina WAMCO, who welcomed the governor, said the governor’s visit underscored the company’s objective of ensuring best dairy farming practices that guarantee the flow of good quality milk from grass to glass. “FrieslandCampina WAMCO is honoured to share and support Kebbi State to replicate our tried and tested Dairy Development Programme (DDP) model that enables small scale dairy farmers to improve the quality and yield of their milk production and earn reasonable income. 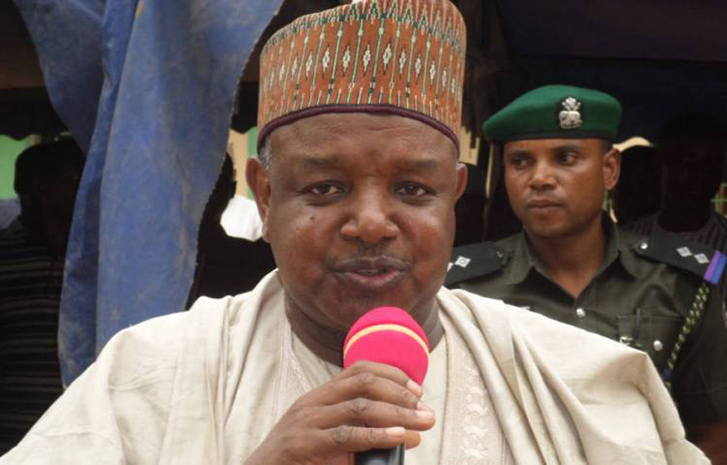 “Partnerships such as this with Kebbi State will go a long way to strengthen dairy development in Nigeria” Langat said.